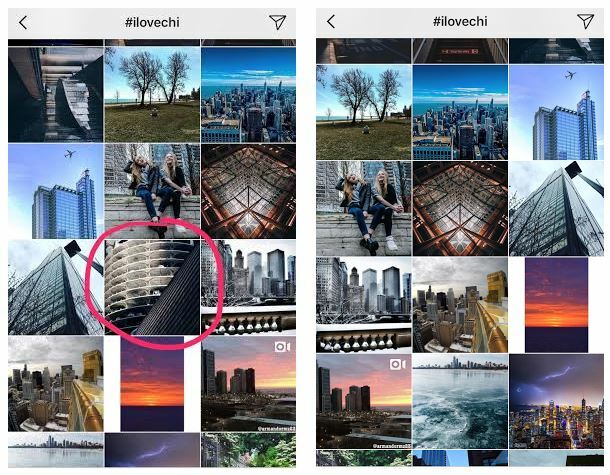 A couple of months ago Instagram users noticed that some of their tagged posts weren’t showing up on the public hashtag pages – they were able to see their post, but nobody else could. Source: Petapixel / An example of shadow banning where the photo shows up for the user responsible for posting the photo, but not for anyone else. Shadow banning, also known as stealth banning or ghost banning, is when a user is blocked from an online community, usually without being notified. Social networks such as Twitter, and Instagram, are spending a lot of resources on combatting bots and automated tools from gaming their system and destroying the user experience they have created. Sometimes individual users are flagged accidentally, and banned because the algorithm that detects unusual activity suspects a hacker or bot. The social networks are unlikely to tell you that you have been shadow banned unless your account has been suspended entirely. There’s also instances where the hashtag itself becomes black listed, and so nobody who uses the hashtag will have their post appear on the hashtag page. If your engagement rate starts to go down, or your post doesn’t generate the likes you would expect, it might be time to do some detective work. Fstoppers recommends this Instagram shadow ban analyzing tool that checks your account, and posts for a shadow ban. It searches the hashtags you’ve used to see if they are showing up on the public hashtag landing page. If you’re using a lot of hashtags this tool saves a lot of time. Note: If you publish hashtags en mass as a comment the above analyzing tool will likely say you have been shadow banned. That’s because Instagram often blocks popular tags from being overused. Don’t worry too much – it doesn’t mean your account has been shadow banned, only that your post may not be appearing for those set hashtags. Remove the offending hashtag(s) from your post… if you can guess which hashtag it is that’s flagging your account. Don’t use too many hashtags. Be more deliberate in your choices. Don’t use the same hashtags. Again, be more selective in the hashtags you’re using. Contact Instagram: Explain the problems you’ve been having with your posts and ask them if they can help. Don’t speculate or accuse them of shadow banning you. Acorn, The Influence company is always looking for new talent to join its influencer network. Contact us if you think you have what it takes to work with some of the leading brands in the world.